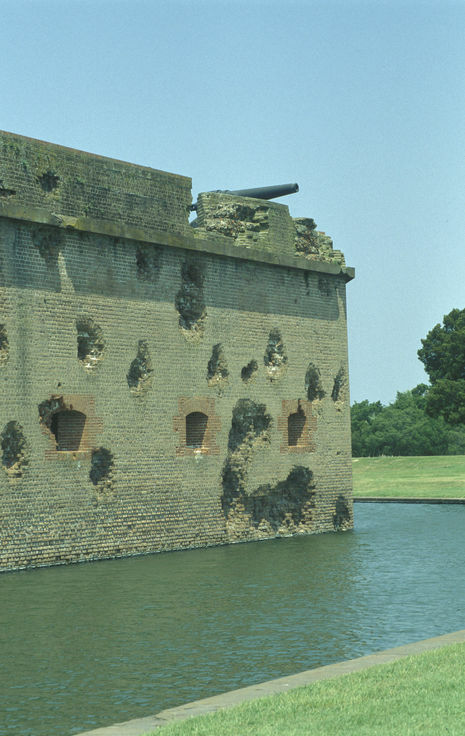 The Battle of Fort Pulaski (April 10–11, 1862) saw Union forces on Tybee Island besiege and capture the Confederate-held Fort Pulaski after 30 hours of bombardment. Following the secession of Georgia, volunteer militia seized Fort Pulaski from the Federal government and, with Confederate forces, began repairing and upgrading the armament. By April of 1862, the garrison under the command of Colonel Charles H. Olmstead consisted of five infantry companies and had 48 canons, including ten columbiads, five mortars, and a 4.5 inch Blakely rifle. The Union forces intended to recapture the fort but first needed a coaling station for the South Atlantic blockading squadron, which would also serve as a base for the expedition. This was achieved after the Battle of Port Royal, after which the Federals begun their preparations for the siege of the fort. They first captured Tybee Island on November 10, 1861 with engineer troops under the command of Captain Quincy A. Gillmore without a fight. 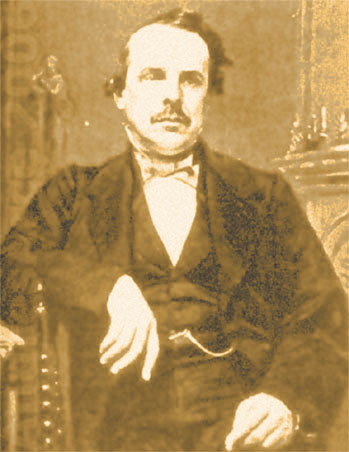 The heavy cannons which the Federals needed to reduce the fort did not arrive until the following February, at which time Gillmore decided to locate the batteries at the northwestern tip of Tybee Island. After a month of work, 36 mortars and rifled cannons were in position. The bombardment began at 8:00 am on April 10, concentrating on the fort's southeast corner which suffered greatly. The Confederates attempted to respond but were gradually silenced as their guns were wither dismounted or rendered unservicable. By nightfall the wall at the southeast corner had been breached. The following morning, the Union artillery resumed the bombardment, concentrating on enlarging the breach. By noon, Union shells were landing against the northwest powder magazine, which contained twenty tons of powder. Regarding his situation as hopeless, Olmstead surrendered the fort at 2:30 pm that day. Although damage was done to the fort's exterior, it was repaired within six-weeks by Union forces. One major impact of the battle was the performance of the new 30-Pounder Parrott Rifle. 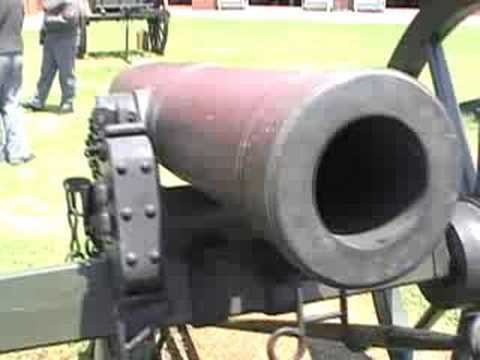 The rifled cannon fired significantly further with more accuracy than the smoothbores currently in use. The new weapon made masonry fortifications obsolete. The main reason this battle was important to the course of the war is because the port of Savannah was closed to Confederate traffic early in the war, although the city remained in Confederate hands until the arrival of Major General William T. Sherman in December 1864. The fort is preserved today by the Fort Pulaski National Monument, which covers 5,623 acres. On April 10, 1862, an artillery barrage began on the last of the great coastal forts built by the United States of America, Fort Pulaski. The stone walls of the edifice were no match for the rifled barrels of a new cannon developed shortly before the War Between the States. It was one of the many technological advancements that would help the North win the Civil War.